Details If you study this poster you will be richly rewarded. 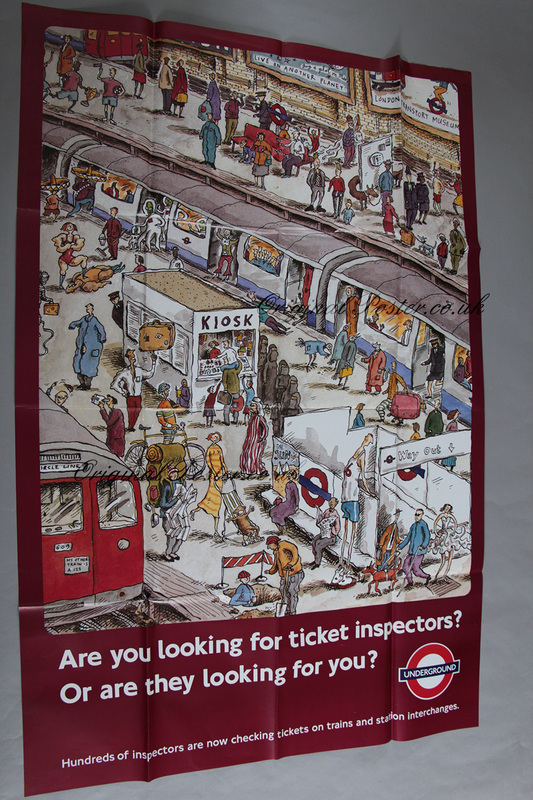 The general theme is to encourage ticket sales on the London Underground by drawing attention to the employment of hundreds of ticket inspectors. examples of passengers seeking to avoid the fare by hiding in coats or suitcases and being observed by ticket inspectors are evident in an amusing diversity of characters and advertisements permeating everyday life on the Circle line of the London Underground. Incredible detail for this large travel poster from a well respected artist Steven Appleby.